Yesterday was such a full day that we all had no choice but to fall asleep early and catch up on some much needed ZzzZZzzzz’s. 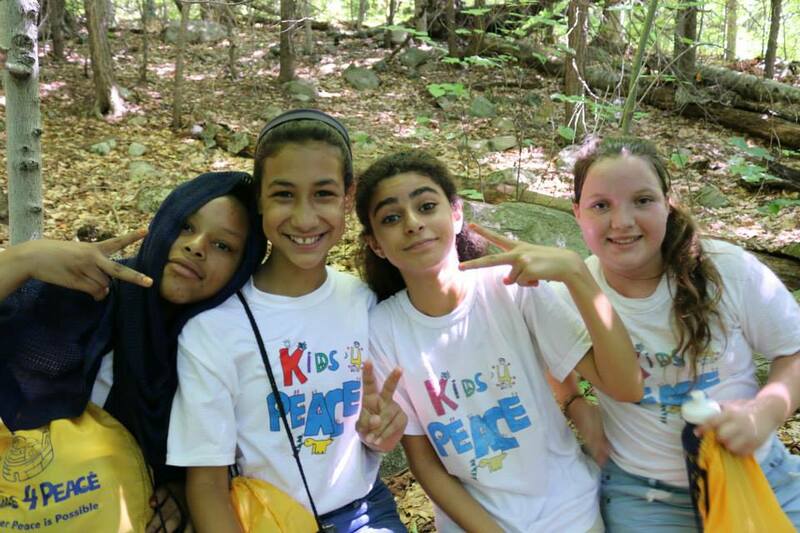 Our legs were happy for this extra rest since they did the hard work of hiking us all the way to the top of Mount Canaan. Yesterday was our big hike day! 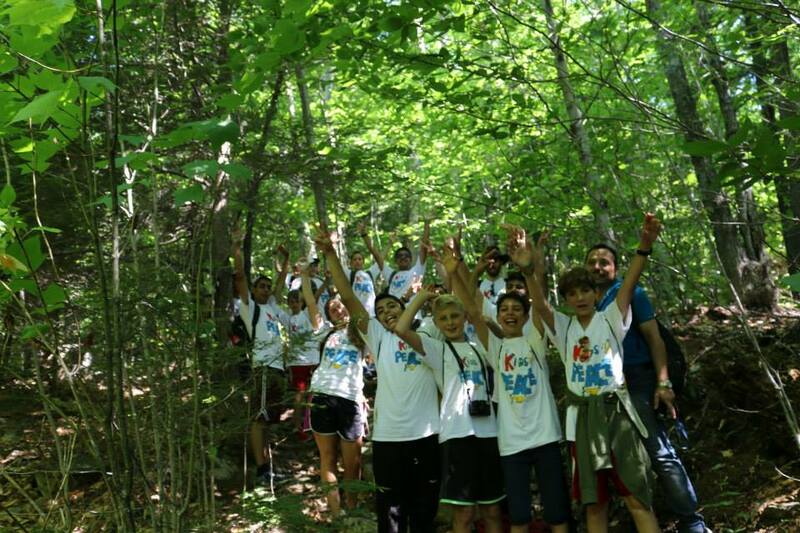 One of the Kids4Peace traditions is to look only at the ground as you make those final steps to the top of the mountain. Everyone silently shuffles up together, looking only down, and then on the count of three the whole group, together, turns around for the breath-taking view. Lots of us were nervous about the hike beforehand (for some, this was the first time ever hiking such a big mountain), but we went at a pace we could all handle. Even though it was challenging at times, we encouraged each other, and we all high-fived at the top; each of us so personally proud to have accomplished this feat. 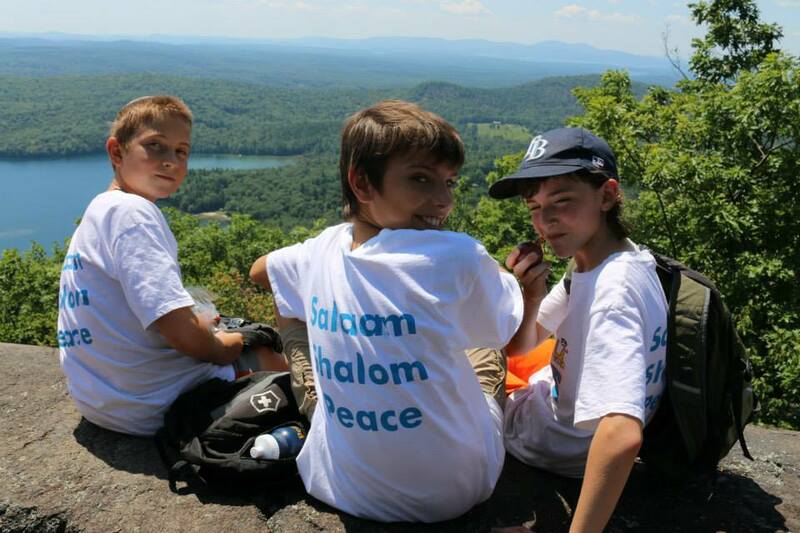 At the top of the mountain, we played some games, including “Interfaith Bingo”. Many of us even got BINGO!…especially after learning so much about each other’s religions this past weekend. After the trek back down to our cabin, we couldn’t wait to dive into the lake and wash away the grime of the mountain. We splashed around, took out the paddle boards, and practiced our diving skills off the dock. Eva and Jeanie (our awesome Merrowvista leaders) gathered us back on the shore and gave us quite a challenge. We took turns telling the story of Noah and the Flood as it is in the Qu’ran, Bible, and Torah. Imagine our surprise that all three of these religions have this story! Little did we know that we, too, would be building an Ark! Sure, there was no flood, but it was quite a challenge still…the leaders blindfolded half of us! This was a big test of our communication skills, but it looks like we’re getting better and better at being able to respectfully communicate with one another while still accomplishing tasks. A thunderstorm rolled into camp after we finished dinner, but if you were here, you wouldn’t have even noticed. Another thunderstorm of dance and song was happening in the dishroom where the Kids4Peace boys had their turn of doing the dishes for the entire community of 200 people.